Jesus Christ, Katy Perry! The Today Show? 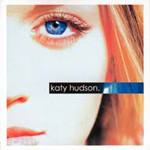 Katy Hudson has come a long way from her 2001 Christian album, Faith Won’t Fail. Even her name as changed– now she’s Katy Perry. Her song, I Kissed A Girl, has been cat-cat-cat-catching on for quite some time now. It annoys me… for various reasons. First of all, don’t insult our intelligence, Katy Perry. You ripped off both the title and the premise from Jill Sobule. Trying to titillate listeners with such a ‘taboo’ subject isn’t anything new. But it’s not like you’re intelligently trying to make some sort of statement about sexuality, you’re trying to appeal to the frat-boy fantasy of two chicks getting it on. Ur other song, Ur So Gay also used similar tired old gay stereotypes. I know you’re kidding around and everything, but girl, you know it’s true. 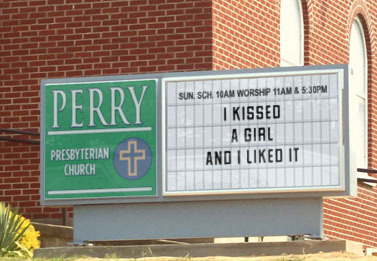 Katy Perry has come a long way from growing up as a good girl in a nice Christian household, we get it. The beginning of it sounds pretty similar to Pain Lies On The Riverside by Live, doesn’t it? Here’s another song of hers, Growing Pains, not to be confused with THIS Growing Pains. Come to think of it, Kirk Cameron (you know, Mike Seaver) went on to form The Way of The Master after his superb acting on television. Will HE release a song soon, then? Previous Post Is MC Hammer ready for some football?